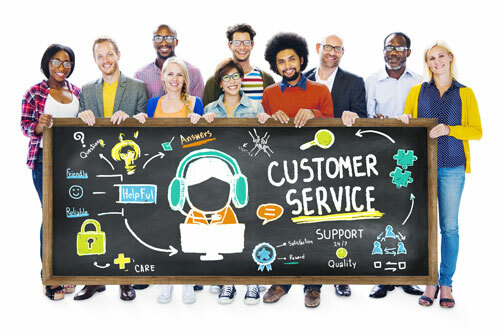 Avoid complacent service with these useful tips by Kristina Evey. Businesses used to be guided by what has now become a profit killing phrase – If you build it, they will come. Simply hanging up a shingle and setting up shop won’t draw customers in, let alone keep them coming back for more. Customers are more savvy than ever and know that if you aren’t going to meet at least their basic expectations, they’ll find your competitor who will. Here are three ways that businesses fall short on customer expectations and what you can do about it. 58% of consumers in a Right Now study stated that they were less than satisfied because the company did not answer the phone or respond to email. Pick up the phone and answer your email! This is so simple and requires minimal explanation. Be sure that someone is manning your phones and email at all times. If you really want to stand out from the crowd, then set a goal for your business to answer the phone within three rings and respond to all emails within two hours. 56% of customers in that same study said they found that companies were slow to resolve issues. When a customer contacts you with a question, concern, or problem – get moving right away to fix it. In reality, customers know that there will occasionally be issues with a product or service, but when you don’t make it a priority to fix it for them, you’ve lost your edge in their eyes. This study suggests that more than half of the time customers feel that the business just doesn’t care enough about them to take action right away or within the customer’s perception of a reasonable amount of time. Would you, putting yourself in the shoes of a customer, continue to do business with a company that less than half the time acted quickly to resolve issues? I would hope not. Go to their competition and explain why you left business number one. If the competition is smart, they’ll make sure that it doesn’t happen to you again. Imagine the frustration level of the 57% of customers that stated they felt like they knew more about the company and it’s products than the customer service agent who was working with them. Train your teams on everything about your company and the products and service it has to offer. Give them the history of the company – who founded it, why, when, and where. How has it grown and what has changed over time. As for your services or products, dive deeper than just the facts stated in the brochure or website. Anyone can find that. Your customers are contacting you because they’ve shown an interest already in your product, so give them more information than just a high level overview. Train your teams on what is the best use of the product and what it wouldn’t be suited for. Who is the best person to benefit from the service and who wouldn’t be the target market? Is this a standard item or can modifications be made if needed? Focus on the benefits of the item or service, not just the features that are listed elsewhere. Kristina Evey helps small businesses focus on delivering the best customer experience possible so that they can make more money, get more customers, build a loyal customer base, all without having to increase their marketing budget. Next article: Do You Know Who Your Customers Are?